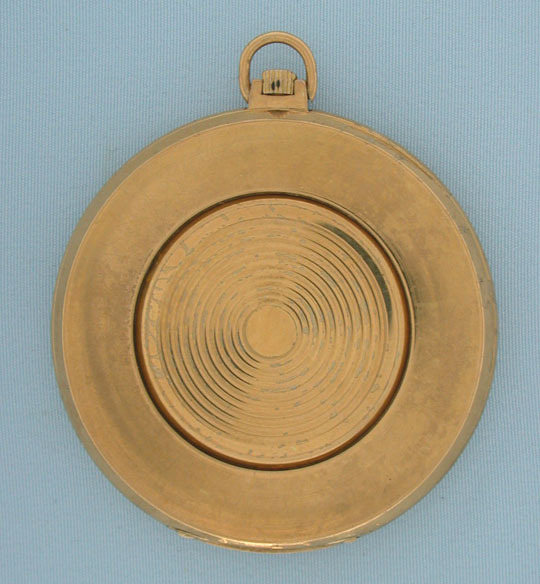 Gubelin Swiss gilt brass world time vintage pocket watch circa 1960. Silver dial with applied gold markers and gold hands. 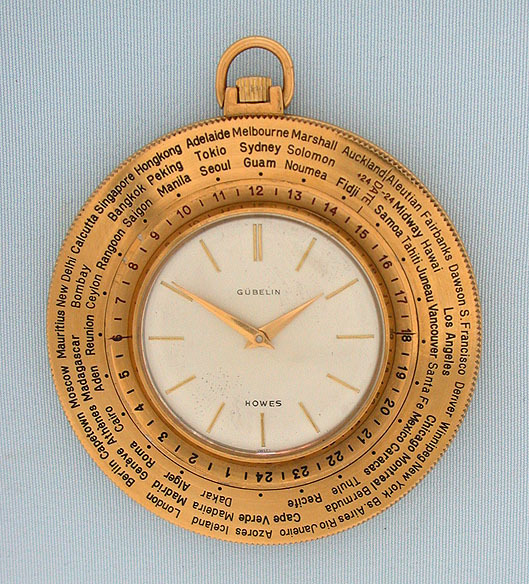 Rotating bezel engraved with cities around the world. 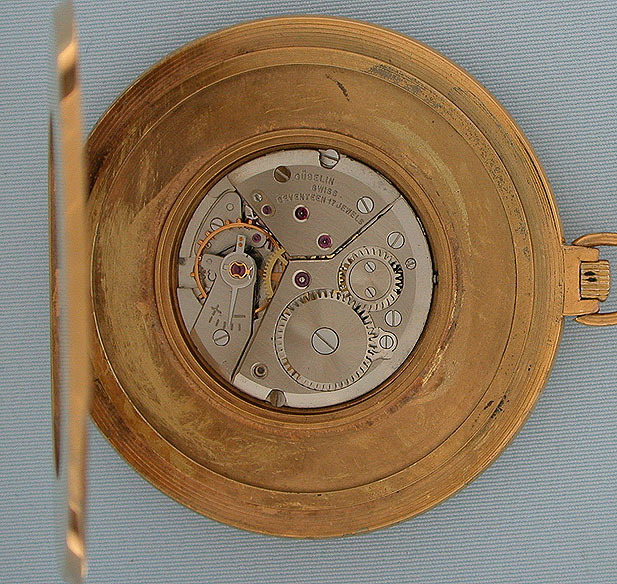 Rhodium 17 jewel shockproof movement.